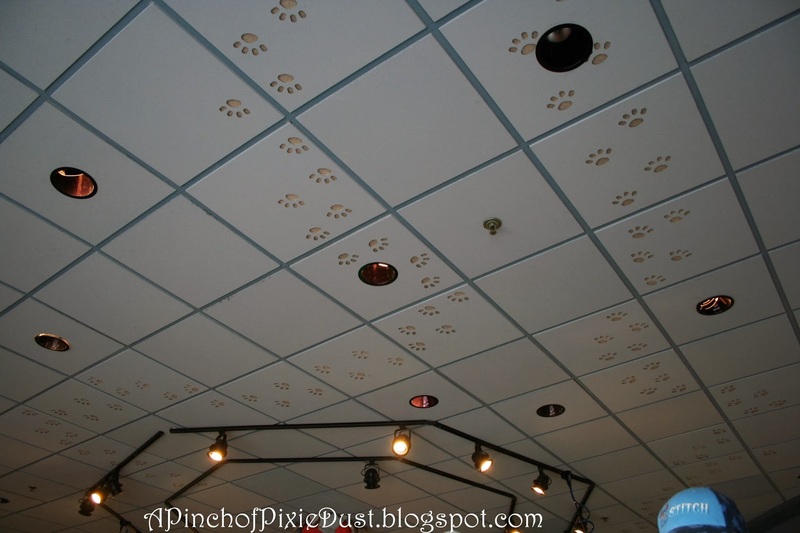 Looks like someone has been leaving pawprints all over this ceiling - but who? And where? Post your guess in the comments! An anonymous reader guessed last week's trivia - the Legend of the Magic Lamp book can be found in the Morocco Pavilion, in the room where you meet Aladdin and Jasmine! I definitely know where this is; it's in Merchant of Venus! That rascal Stitch made marks all over the ceiling!